I read this article and found it very interesting, thought it might be something for you. 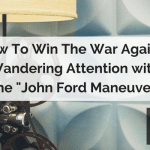 The article is called [Story Sells] How to win the war against wandering attention with the “John Ford Maneuver” and is located at https://copychief.com/john-ford-maneuver/. You know when you’re sitting in a movie theater and hear all the noise before the film begins? The flash of phone screens, the chatter, the rustling in seats, the unwrapping of a big box of Red Vines licorice? But then when the movie begins with a strong scene – like the “rolling boulder” sequence in Raiders of The Lost Ark – the audience falls silent. That, my friends, is sweet music to a storyteller’s ears: complete silence. Rapt attention. Because it means the audience is 100% focused on the story about to unfold. And that’s what we want for our ads, too: a prospect hanging on every word. Today, let’s peer behind the lens to see how one legendary Hollywood director managed to silence the chatter and seize the attention of the most powerful man in the free world. Here’s the story (courtesy of the excellent Five Came Home, now on Netflix): John Ford, director of such John Wayne classics as Stagecoach, was a leading Hollywood director when WWII broke out. But he decided to leave his lucrative career behind and joint the war effort. His first assignment? Film the battle of Midway, a crucial mission to turn the tide on the war in the Pacific. So Ford made the movie he knew would help to mobilize the American public. A movie that dared to show the grit and underbelly of war. Ford knew he’d have to fight to get this movie made. He was the veteran of many such “creative control” battles with Hollywood producers. And this time the stakes were even higher for his film: to win the American public’s wholehearted support of the most massive war effort of all time. So to keep control of his movie, Ford went a little bit rogue. He smuggled his footage home to the states, and then squirreled it away in the hands of an editor. (He told the editor to “report” to his mom’s house in California, rather than military HQ, to avoid detection of his film.) Finally, Ford got the movie before the big decider: the President of the United States himself, Franklin Delano Roosevelt. FDR would decide whether this movie would see the light of day. And this is when Ford released his “secret weapon.” What was it? A little roll of film he had kept back even from his editor until the day of the screening. The little roll of film was Ford’s key to winning the undivided attention of the most important “prospect” in the room: the president. So the movie starts. And, predictably, the audience was full of chatter: The president and cabinet officials and military officers talked at the screen, scoring points by identifying this and that military aircraft or transport. But then came the secret roll of film that Ford had kept hidden. When the president saw the image on the screen, he was struck silent. So was everyone else. That’s because he was looking at his son, Jimmy Roosevelt, in uniform, smiling, ready for war. 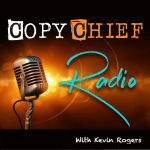 John Ford achieved what every storyteller and every marketer dreams of: a captive audience. And he did it by using a single vivid image, directed to a single person, that captured immediate attention of the commander in chief. So let’s call using such an image the “Ford Maneuver.” At the conclusion of the film, FDR turned to his staff and declared: “I want every American to see this film.” 2/3 of the movie theaters in America showed it. Now, the image of Jimmy Roosevelt wasn’t the sole reason FDR trumpeted the film. But, this “Ford Maneuver” did achieve the first mission objective of a storyteller: get the audience to tune in. To deploy a “Ford Maneuver”, make sure to include these 3 characteristics: #1: Direct it to ONE person. John Ford tailored this image to a very specific person: FDR. #3: Choose a simple, immediate image. (In other words, don’t use a complicated description. Go for a literal image, like a photo … or a very swift “word picture” like a compact metaphor.) Ford used just a few seconds of footage of the president’s son. #3: Choose an image that generates immediate, raw emotion. The president was suddenly reminded of the very personal sacrifice of war when he saw his son in uniform, prepared to face harm’s way. The key principle is the first one: picking the image with one person in mind. Really knowing your audience. For Ford, it was very straightforward: he knew the exact person to target. 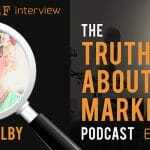 For marketers, this is why we spend time talking to our customers, diving deep in surveys, and building a vivid “avatar” picture of our perfect prospect. Once we have that person firmly in view, we can then pick a single, vivid, emotional image that will capture their attention. Then it’s up to us to hold their attention for the rest of the ad. (One way to do that is by avoiding the “Broken Film Mistake,” which I’ll talk about in my next post.) The MORAL: To get rapt attention, open your ad with “the Ford Maneuver”, a single arresting personalized image. Powerful story, terrific lesson. Well done, Scott! Thanks for sharing your thoughts. indeed, it’s a point-blank shot into the forehead! Read this article in my golden hour dedicated to reading today. I was preparing for a sales conversation today and this story motivated me to pick up the right images for a couple of slides that I wrote for the meeting. I regularly use free images from https://pixabay.com/ with Creative Common License. One can also search for free stock photos to modify and use. Thanks for the story Scott. What’s down the pike in your next story? Hi Chetan, thanks for sharing the image library link. Nice tool. Ohhh, how I love a good story — hadn’t heard this one before. Thanks for bringing it up, Scott! Thanks, James — glad you liked it.